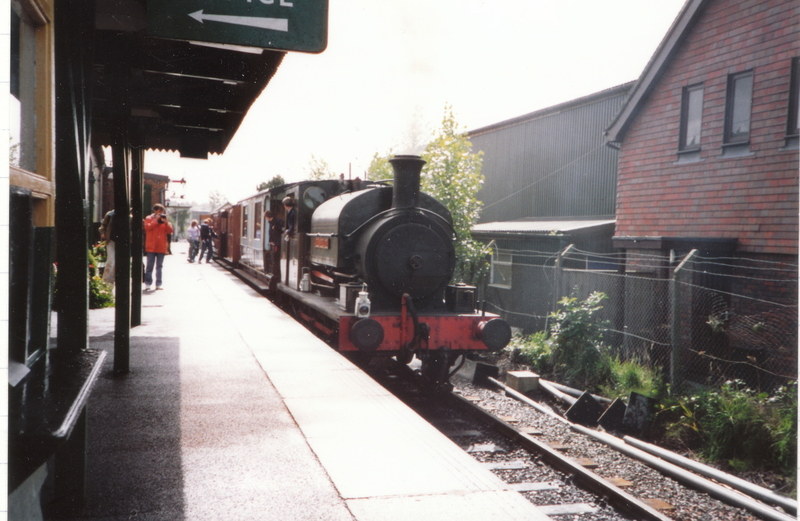 Since this website’s creation there have been quite a few articles written about the Kent and East Sussex Railway, but remarkably very little about the railway’s rolling stock. This is remarkable considering that the line’s fleet of carriages is one of its greatest assets. 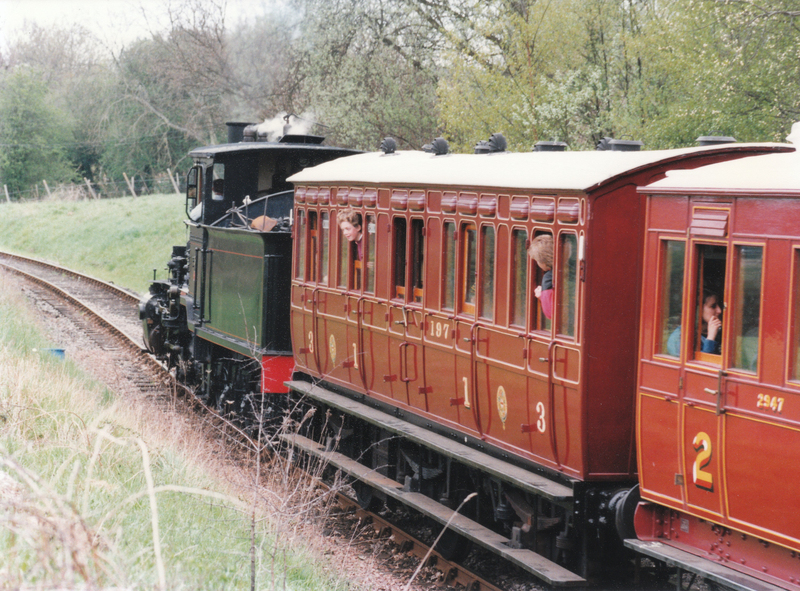 Aside from the ubiquitous British Railway’s mark one carriages (that almost every standard gauge preserved line in the country uses), the railway has a number of unusual carriages that date as far back as Victorian times. You’d be forgiven for thinking that it has such a wide number of rare carriages as a result of the line being a light railway that had inherited the rare stock waiting to be preserved after closure of the line in 1961, but you’d be wrong. The collection has everything to do with valiant efforts by the K&ESR to rescue and restore what remained of such carriages in the preservation era. They were sourced from many places, my favourite story I’ve read so far being that SE&CR No. 2947, a 4 Compartment Second that built into part of a bungalow! The selection of carriages described here are only a portion of the complete fleet, with plenty of others to be photographed in future visits to Kent! 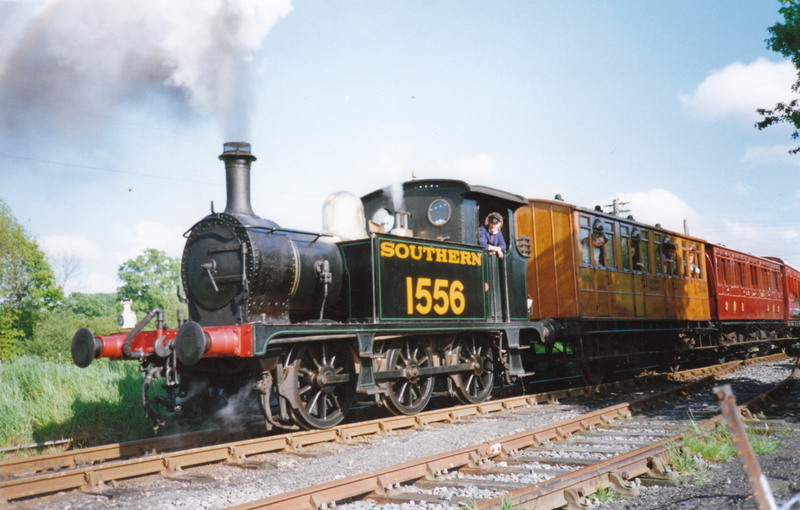 Although the Kent and East Sussex Railway was independent until nationalisation in 1948, it is located deep in former South Eastern and Chatham Railway (SE&CR). For that reason it comes as no surprise that many of the rescued carriages in the preserved railway’s fleet originate from the SE&CR. These include two “Birdcage” brake carriages, so named due to the guard’s prominent lookout. Last year my wife and I had the pleasure of a return trip on-board 1100, as pictured in the gallery above. Number 177 pictured below is a 1900 built “Family Saloon” which is a terminology that would usually be used in the present day to describe a car! Some of the carriages pre-date the South Eastern and Chatham Railway – a company formed in 1899 by the bringing together of the South Eastern Railway (SER) and London, Chatham and Dover Railway (LC&DR) into joint management. 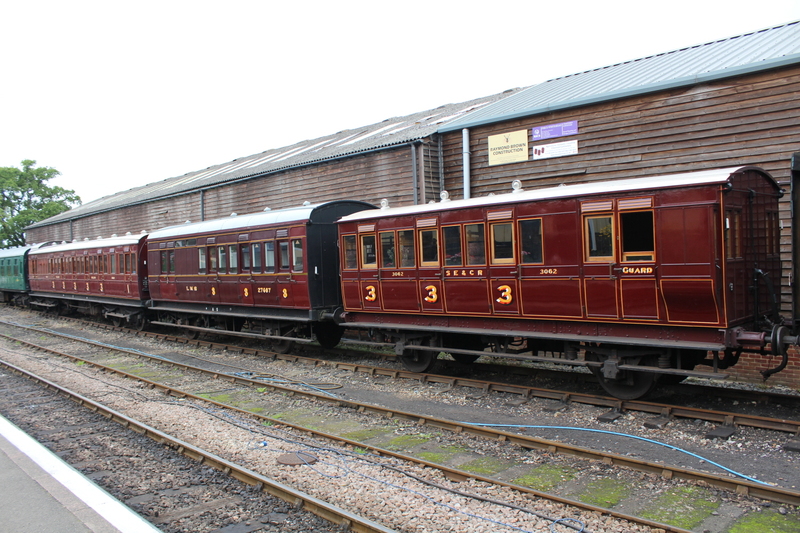 3062 pictured below is such an example and is a brake third coach built in 1888 by the LC&DR. 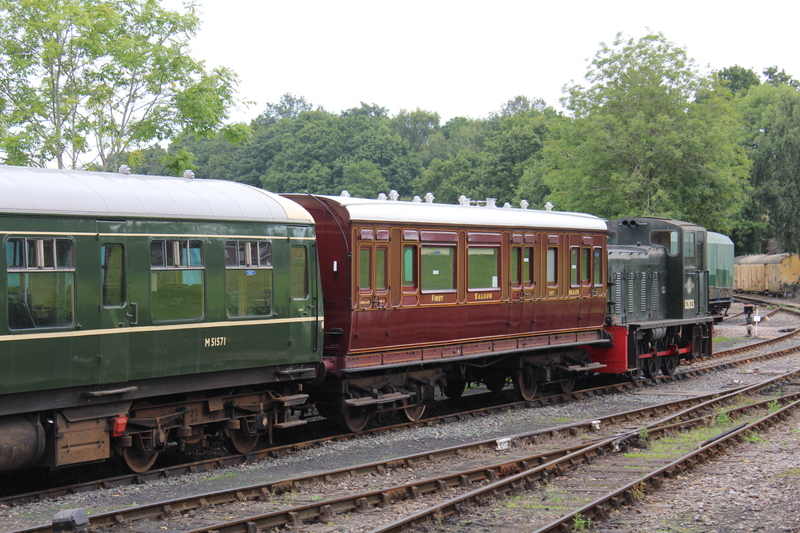 The carriage seen in the picture below is a one year older than the carriage above but built by the Great Eastern Railway. No 197 ended it’s life as a holiday home before recovered by the K&ESR. The GER coach is not the only foreigner on the K&ESR, with ‘Woolwich’ Coach Brake Third painted as LMS 27687. 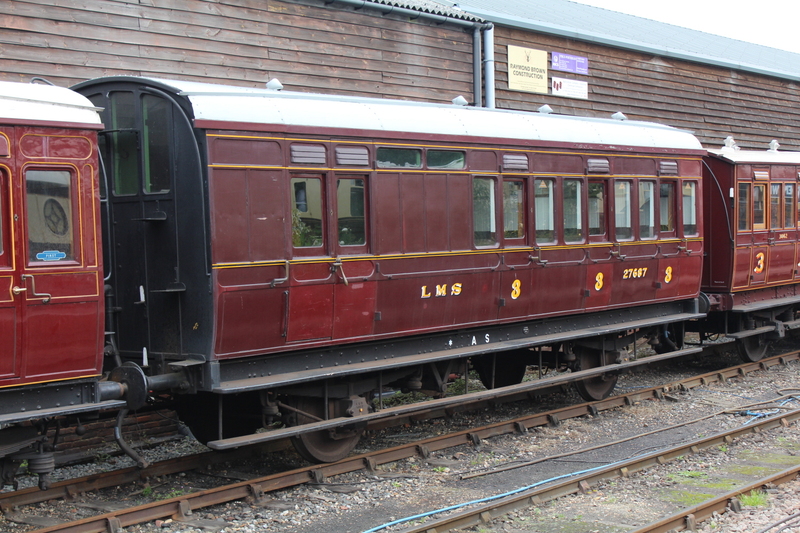 This carriage was built by the London & North Western Railway (L&NWR) in 1911. Another L&NWR product can (just) be made out in the picture below taken in the 1990’s. This is the very characterful Six Wheeled Inspection Saloon that is currently out of service. Another carriage from my old picture archives is shown below – District Railway Coach no 100 (behind P class 1556) wearing it’s older livery (it now wears a better-wearing brown colours). The carriage is somewhat mysterious in that no one really knows it’s early history. It’s well worth reading more about this on the K&ESR’s website (click here). 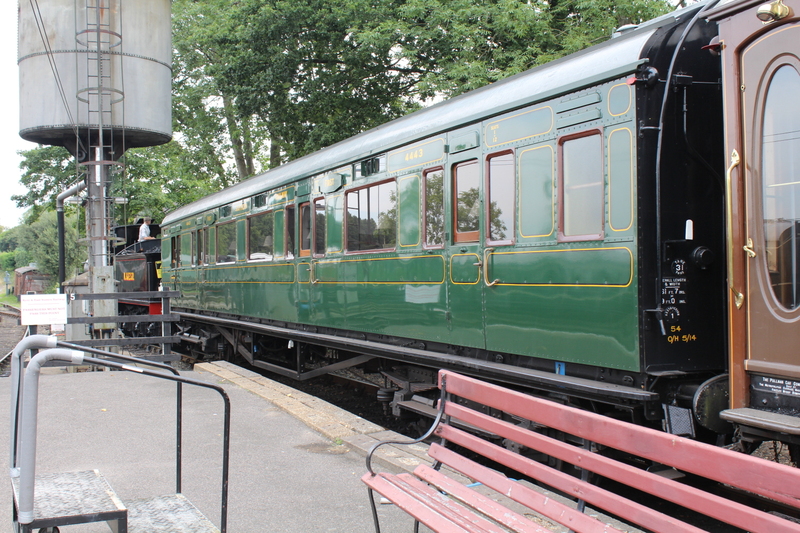 The K&ESR not only has a fine collection of pre-grouping carriages but also products from Southern Railway. Above is Southern Railway Maunsell 5618 CK and below 4443 BNO, two of four Maunsell carriages in the fleet. 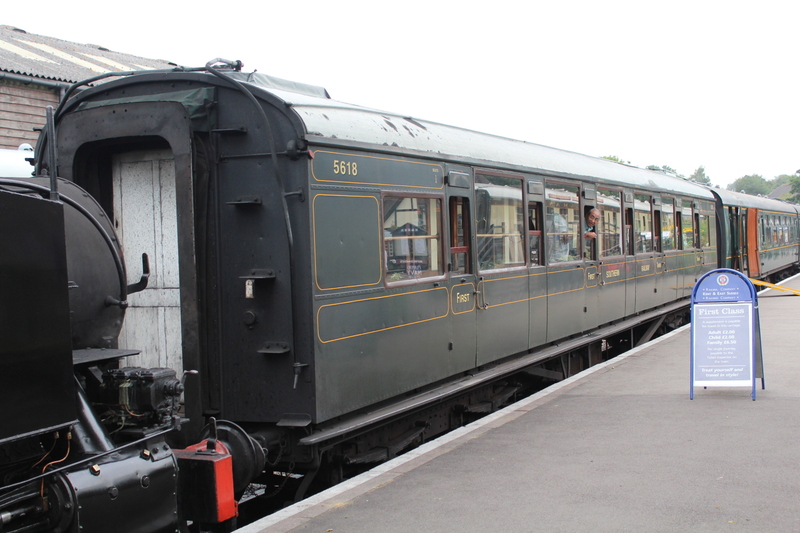 To read more about the Kent and East Sussex Railway’s carriage fleet, the railway’s website is excellent. Go to www.kesr.org.uk/stock-register/coaching-stock to read more. To see a little more from my more recent visit to the K&ESR, please click here. Thanks for reading.